Adjustable Lumbar Pad for 1400 Seat Back System. 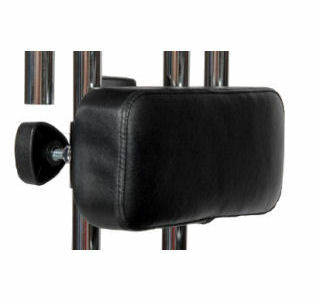 This adjustable pad provides additional support the 1400 Seat Back System. The pad measures 9 inches wide by 4 inches tall. It can be positioned below the standard seat back pad as a lumbar support or on top of the standard seat back pad as a head pad. The pad can be adjusted up/down the 1400 double tube supports and can also be adjusted forward/back.